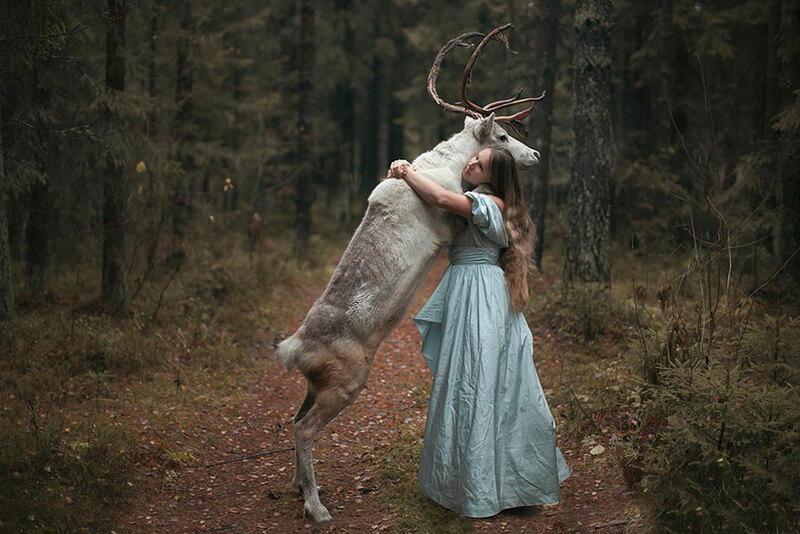 What you see is not Photoshoped – Russian photographer Katerina Plotnikova has captured these stunning images with the help of real live animals! 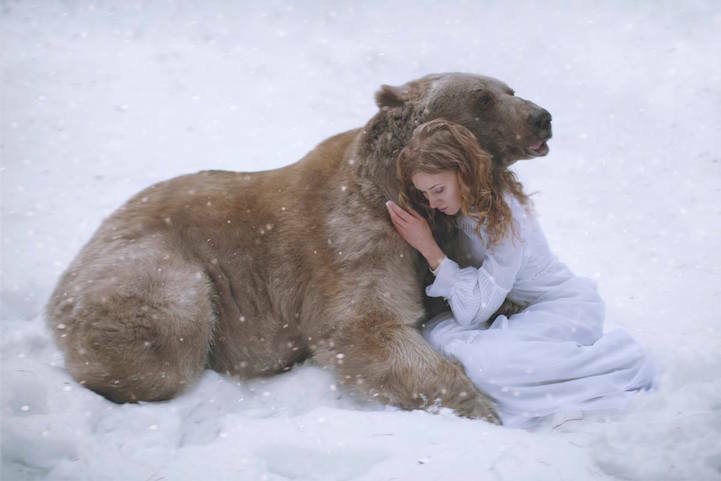 While seemingly dangerous, these shots were made possible with the help of professional animal trainers. She often provides a few adorable behind-the-scenes photos showing how the animals are posed by their trainers. 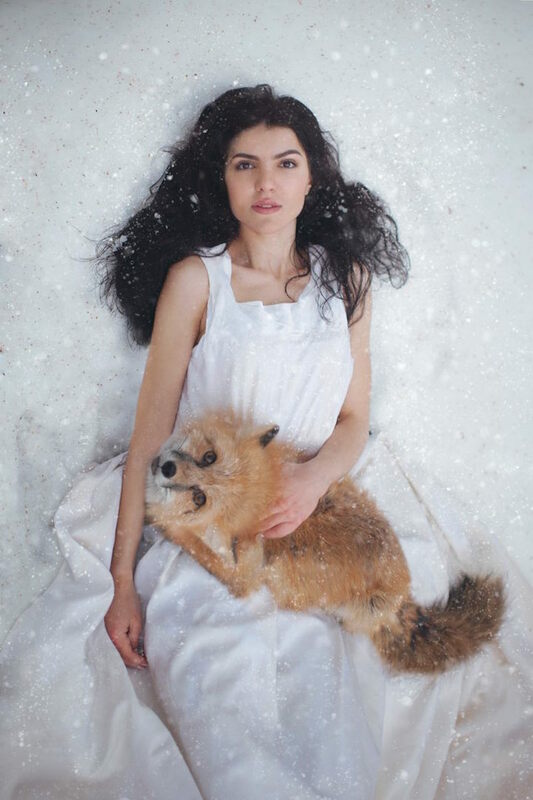 Even without the well-trained animals, her photos possess a rich mysticism and dream-like quality that makes them absolutely enchanting. She is a photographer that you wouldn’t want to miss. Her work is glorious, I love it. In an interview here are some of the questions and answers given by Katerina. Hi Katerina! First things first, we’d love to hear it from you straight — are the animals in your photos real? 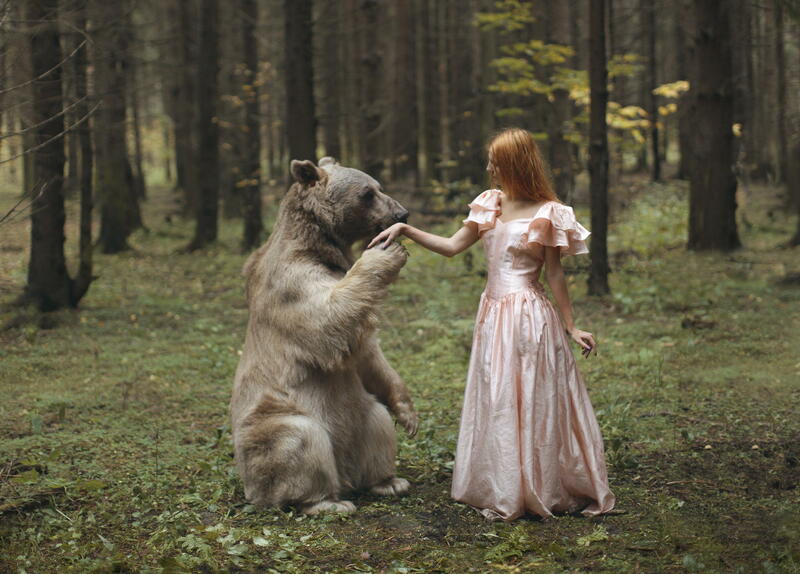 KATERINA PLOTNIKOVA: Of course they are real! The fox, for example, is a real domesticated animal. His name is Adyssey. He has a bit difficult temper, but he is very loved by his owner. All the animals that are in my photo shoots are treated really well. Sometimes, I even think that their owners treat them better than their own kids! How adorable! Can you tell us more about yourself? KATERINA: I was born in a small town near Moscow, where I still live to this day. My life revolves around two things — photography and travel. However, my travel experience is not too extensive. Last year, I travelled all over Russia, from Moscow to a remote Sakhalin. This year, I visited a number of South East Asian countries. My big dream is to travel around the world, and see all the corners of our amazing planet. If you had to photograph just one place, person, or thing in the world, what would it be? KATERINA: That’s a very good question. But I don’t think I have an answer. Every day, I either want or imagine something new, so if you ask me the same question again, I’d answer it differently. 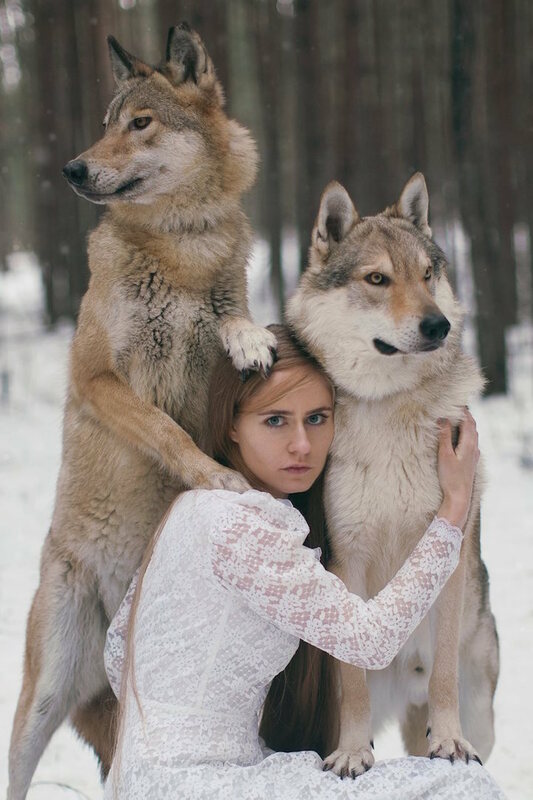 In general I’m not fond of girl-in-the-woods-with-furry-things but these are really cool. 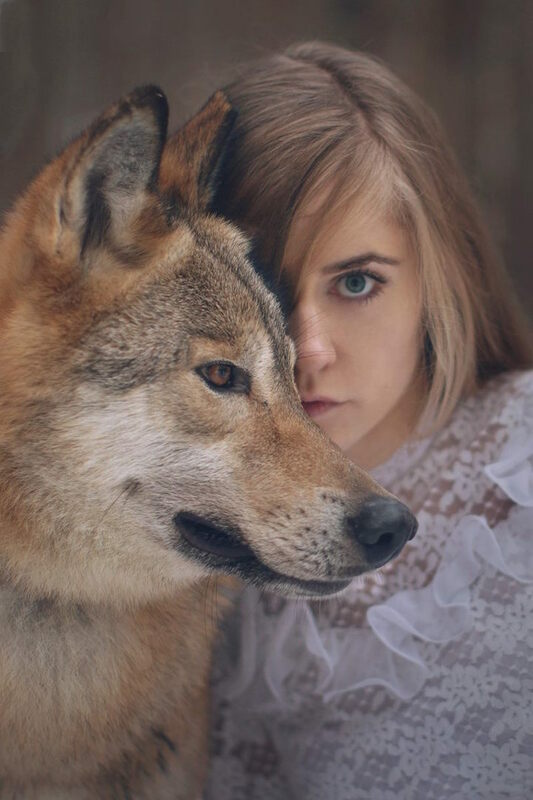 I found her quite by accident and fell in love with the picture portraying the two wolves, I just had to then search for the photographer herself. I was pleasantly surprised and felt the need to share.